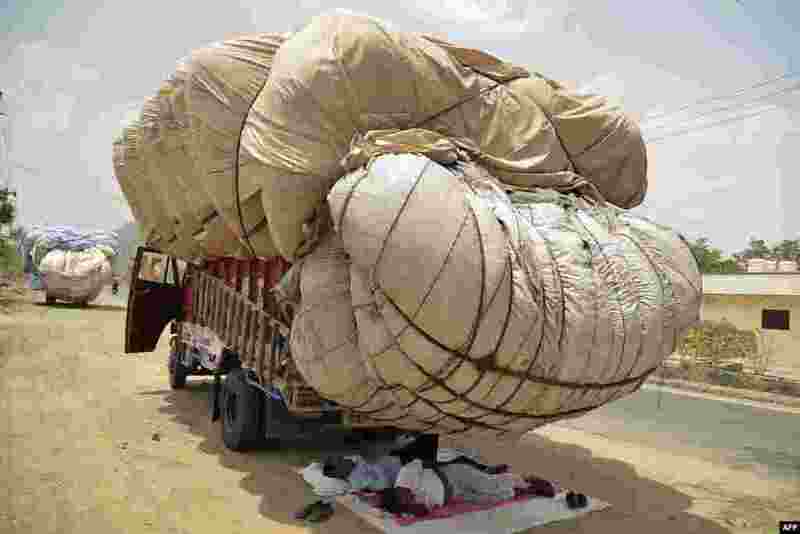 ١ Men sleep in the shadow of an overflowing cloth container of hay on a truck on a hot summer day in Ajmer in the western state of Rajasthan, India. 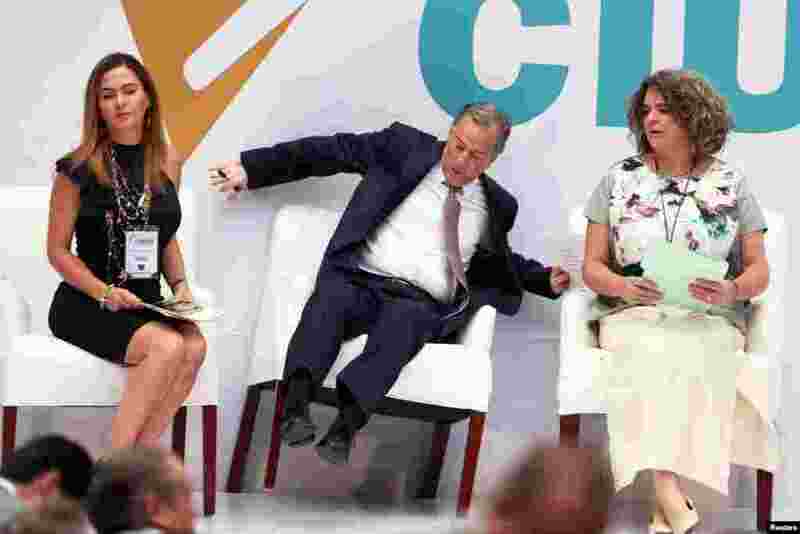 ٢ Institutional Revolutionary Party (PRI) presidential candidate Jose Antonio Meade reacts while falling off his chair after arriving to a meeting with citizens in Mexico City, Mexico, May 29, 2018. 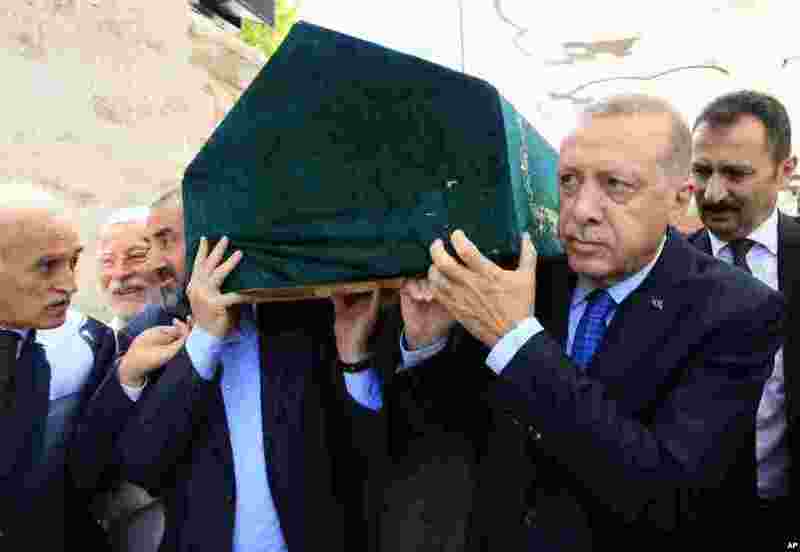 ٣ Turkey's President and ruling Justice and Development Party leader Recep Tayyip Erdogan, right, carries the coffin of Semavi Eyice, a prominent historian, after funeral prayers in Istanbul. ٤ Queen Maxima of the Netherlands holds a tiffin as she poses with Dabbawalas, also known as tiffin carriers, during their meeting in Mumbai, India.